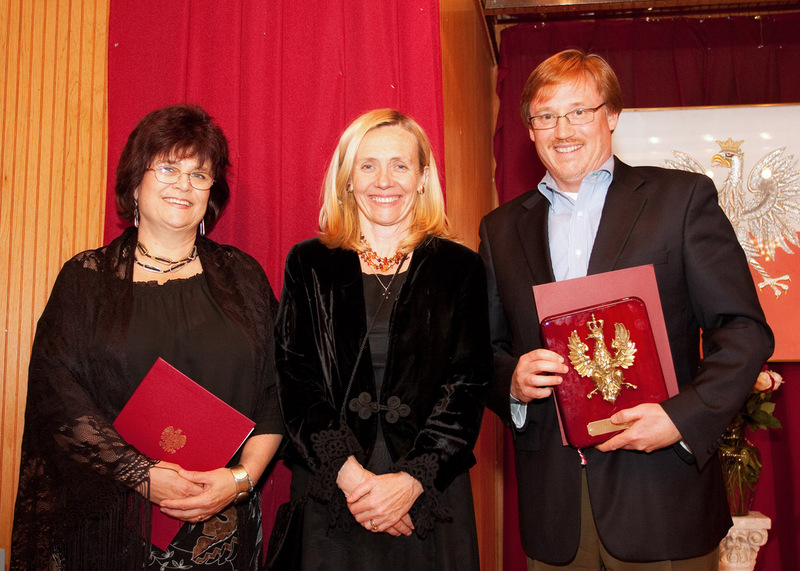 Several people and organizations have been honored with awards at the Opening Gala for the new wing of the Polish Home on November 15, 2009. Also, Mr. John Golubiec, President of the Polish Home Association presented awards to people running the Expansion project and Mr. Ryszard Kott, President of the Polish Home Foundation presented awards to people and organization for significant contributions to the project. Click here for the full list of the honorees. Follow up on the grant: the Polish Home in Seattle has received an $80,000 matching grant challenge from the City's Neighborhood Matching Fund in June 2009. Subsequently $40,000 was raised for the grant and the grant contract was signed in October. The Polish Home grant committee would like to thank from the bottom of their hearts to all the supporters who made this possible through their generous donations. The money from the NMF grant is being used to finish up the new wing of the Polish Home and will also be used to remodel the old part of the Polish Home building . Read more here. The Sybiracy Project - a local initiative to document survival stories of the Polish victims of Soviet mass deportations to Siberia during WWII - has culminated in a film premiere and art exhibit under the common title Trip to Nowhere. The exhibition opens in Boston at the University of Massachusetts campus on November 8, 2008. Where: Univ. of Massachusetts, Boston, MA. July 2009: $80,000 grant for the Polish Home to match - $15,000 to go! The Polish Home in Seattle has received an $80,000 grant from the City's Neighborhood Matching Fund. However, it is a matching grant and the challenge is the Polish Home needs to receive new donations before the NMF grant can match them. $40,000 in cash donations is needed to sign a grant contract with the City. By Sep 22, 2009 we are almost there – thank you donors! Donations still appreciated. Read more here. The Polish Home asks all the members and friends of the Polish Home to donate money to the Polish Home Foundation to benefit from the NMF grant. If you have not donated to the Polish Home yet, or would like to increase your donation, please do so now! Your money would be doubled and the grant will speed up completion of the Extension project. Please donate today! Mr. Roy Koczarski, the Polish Home architect, has been honored with the Officer Cross of the Order of Merit of the Republic of Poland, awarded by the President of Poland for promoting Poland abroad. Mrs. Martha Golubiec, Mrs. Krystyna Koczarski, Mrs. Barbara Strutynski and Mr. Marian Strutynski each received a Certificate of Recognition by the Consul General, awarded by the Consul for their longtime very active involvement in the Polish community and promoting Poland and Polish culture in the Pacific Northwest. Also, in January 2009, Mrs. Krystyna Swietlicka received a Certificate of Recognition from the Consul General for her work as an educator and the former principal of the Juliusz Slowacki Polish School in Seattle. Nicole Pawluskiewicz recieved the award from the Committee of Polish Culture in Michigan for her community and educational efforts. The amount was $1000 and the award letter & the check were presented at the Polish Hall on the 19th by John Golubiec with thanks and congratulations. Way to go Nicole! The Polish Home construction that started last September is almost done. It should be completed soon except for a water main hookup from the street scheduled for August. The new wing should open for use in September 2009. The price tag for the contract reached $545,000 and there is additional $45,000 of other construction related costs, such for the new water main. At this point (mid-June 2009), the Polish Home is very low on cash and has depleted all the reserves and also used $200,00 from a credit line to finance the construction. Therefore, the Polish Home Assn Board of Trustees as well as the Polish Home Foundation Fundraising Committee asks all the members, friends and users of the Polish Home for cash donations supporting the project. More details about current state of the construction can be found here. Mr. Piotr Pawluskiewicz, Chairman of the Polish Home Assn Board of Trustees and former PHA President, died on May 7, 2009 after a long illness. He was 59. Born in Nowy Targ, Poland, Mr. Pawluskiewicz was proud of his Tatra highlander heritage. He came to the United States in 1974 and settled in Seattle in 1978; he has been involved with the Polish Home ever since. Educated as a mechanical engineer in Cracow, Poland, in Seattle he worked for Philips Ultrasound and held several patents. Mr. Pawluskiewicz was one of the pillars of the Polish community in Seattle, serving at many different positions in the Polish Home Assn, including the President and the Chairman of the Board of Trustees. For his activities, he was honored with the Cavalier Cross of the Order of Merit, an order bestowed by the President of Poland for promoting Poland abroad. Mr. Pawluskiewicz is survived by wife Wanda Cieslar with children Michasia and Jan, brothers Jan, Michal and Ziomek and their families. Please see also the Seattle Times obituary. In lieu of flowers, remembrances in Mr. Pawluskiewicz's name may be made to the Polish Home Foundation Remodeling Fund: please write a check to Polish Home Foundation, make a note "in memory of P. Pawluskiewicz" at the check and send it to Polish Home Foundation, 1714 18th Ave, Seattle, WA 98122. Mrs. Maria Urbaniak, nee Puzynowska, an active member of the Polish community in Seattle died on May 5, 2009. She was 98. Mrs. Urbaniak was born, raised and educated as a lawyer in Vilnius, then Polish city of Wilno; she graduated in 1939. Arrested by the Soviet authorities shortly after the Soviet invasion of Poland in 1939 she was sent to the gulag. Freed by the 1942 "amnesty" she joined Gen. Anders' army. She married Jozef Urbaniak in Scotland and after the war settled in Seattle, working for many years as a Slavic Librarian at the University of Washington in Seattle. Mrs. Urbaniak served as an elected officer of the Polish Home Assn, and was also an active member of the Ladies Auxiliary and the Polish Veterans in Seattle. She was decorated with the Siberian Exile Cross, a medal awarded to Polish survivors of the WWII Soviet deportations. Mrs. Urbaniak is survived by her daughters Eva in Seattle and Anna. Mr. Andrew Krzyzanowski, a longtime member of the Polish community in Seattle died on April 30, 2009. He was 83. Mr. Krzyzanowski was born in Gdansk, Poland, and after suffering as a WWII refugee, came to the United States and was educated as an engineer. He was an avid bridge player, loved the sea, and to pilot his airplane. He was a long time member of the Polish Home Assn and of the Seattle-Gdynia Sister City Assn and long time supporter of local Polish causes. Mr. Krzyzanowski is survived by his sons Steven and Scott, Steven's wife Sandy and grandchildren, Jessica, Melissa, Andrew, Katie, and Megan. Memorial Service: at 1 pm on May 6, 2009, at the King of Kings Lutheran Church, 18207 108th Ave SE, Renton. Contributions can be made to King of Kings. Mr. Kazimierz Malinowski, a longtime member of the Polish community in Seattle died on April 12, 2009. He was 94. Mr. Malinowski was born in Szumsk, Poland, served in the Polish Army, survived Soviet Occupation and forced labor in Germany. He found a new home in Seattle where he raised his family. He was an active member of the Polish Home Assn and the Polish Veterans, being involved in functions, festivities and remodeling of the Polish Home from 1950s to 1970s. Mr. Malinowski is survived by his wife Stella, children Teresa, Mary, Edward, Irene, John and Michal and their families as well as a brother in Poland. Memorial Service: On April 18, 2009 in Seattle. 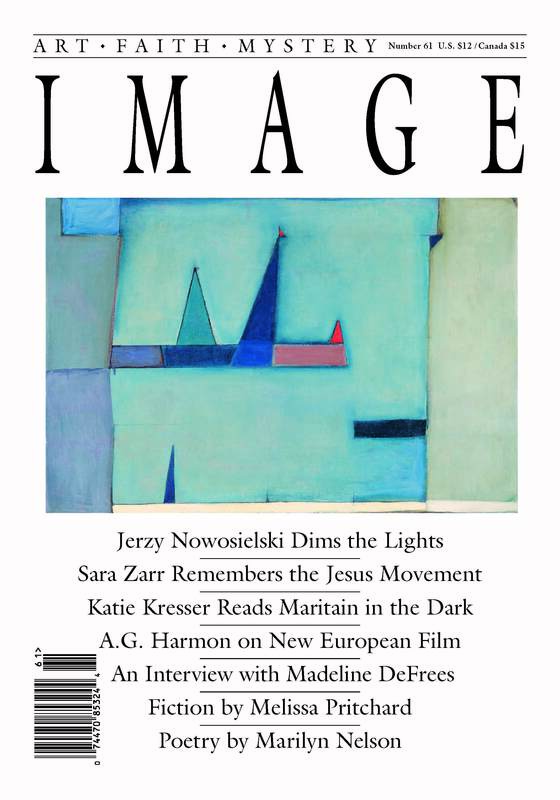 The current issue #61 of Image, one of the top US literary journals based in Seattle, has Nowosielski's paintings as its main topic, with the leading article and several illustrations, including one gracing the cover. Jerzy Nowosielski, 86, is an outstanding contemporary Polish artist. Mr. Rosman is a local and a PhD student at the University of Washington, currently on exchange at the Jagiellonian University in Cracow, Poland. Congratulations! More: Image Journal site, Jerzy Nowosielski; Image can be bought at Bulldog News, Eliott Bay Bookstore and at the University Village Barnes and Noble. Mr. Piotr Pawluskiewicz will be honored as the winner of the Apasia Pulakis Award at the 38th Annual Awards Dinner of the Ethnic Heritage Council held at the Nordic Heritage Museum in Seattle on March 27, 2009. Mr. Pawluskiewicz has been very active in Polish community in Seattle, especially at the Polish Home, for many years. Congratulations! More: Ethnic Heritage Council Annual Awards Dinner, dinner reservation info at the site, deadline is March 20, 2009. 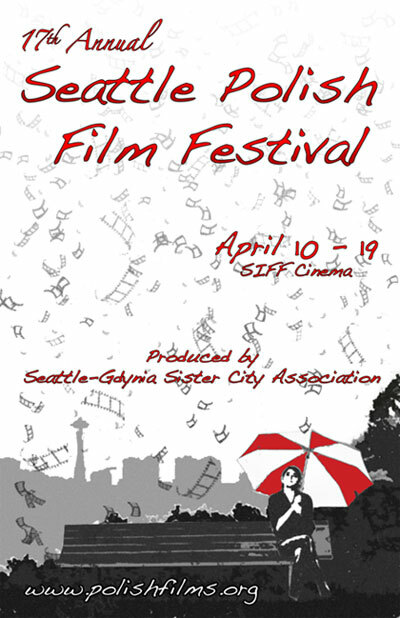 Mr. Piotr Zin has won the 2009 SPFF poster competition. The winning entry is presented here - click to see an enlargement. Congratulations! The Festival needs volunteers to run the event! If you would like to help, please contact Greg Plichta. At the Polish Home Association election meeting on January 24, 2009, Mr. John Golubiec has been reelected as the PHA President and Mr. Adam Strutynski as the Senior Vice-President. Congratulations! Debra Markert elected President of the Seattle-Gdynia Sister City Assoc. At the Seattle-Gdynia Sister City Association election meeting in January 2009, Ms. Debra Markert has been elected as the SGSCA President and Mr. Tom Clark as the Vice-President. Congratulations! Fr. Twardowski Polish School in Bellevue invites all children in grades 2-12 to participate in the greatest International Competition in Mathematics Kangaroo. Test will be administered on March 19, 2009 in the evening. Test are available in English and Polish (on demand). This is a great opportunity for children to test their knowledge and practice test taking skills. All children will receive a gift in the night of testing. In May top 10 winners at each level will be announced and awarded. For more details and to register contact Anna Cholewinska at (425) 765 4935 no later then Sunday, January 25, 2009.